Updated the price on this Ecobee3 from $186 to $184, and the percentage of savings from 25 percent to 26 percent, on May 4, 2017. Smart technology was once limited to phones, but it’s been creeping into the home space more and more. A myriad of smart home products are available on the market today, from kitchen appliances to indoor lighting systems, but one item that is often overlooked is the thermostat. A good thermostat like the Ecobee3 can be an unsung but valuable addition to your smart home ecosystem. Not only will a smart thermostat monitor and actively regulate your indoor climate to keep you comfortable, it can also save you money in the long term by maximizing your energy efficiency. 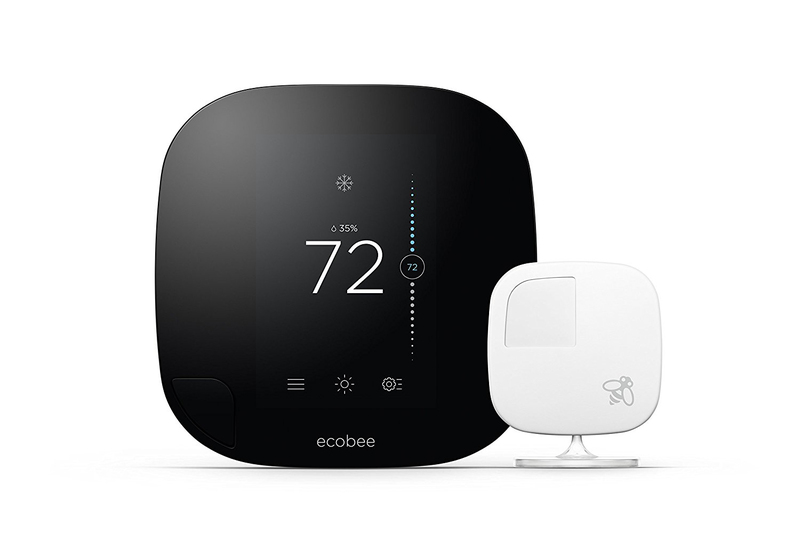 The Ecobee does this by tracking indoor and outdoor conditions in real time, as well as analyzing your own behavioral patterns to determine when to activate your heating and cooling equipment. 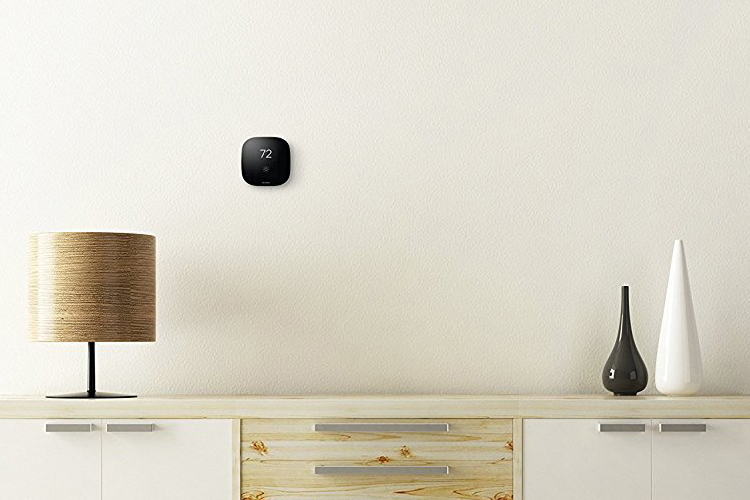 The smart thermostat also detects when you’re home and which areas you use the most to create a unique climate profile that matches your activity levels. By reducing overall energy usage, the Ecobee3 smart thermostat saves homeowners an estimated 23 percent on their energy bills annually. The Ecobee3 is one of our favorite smart thermostats. Our review team said this model easily competes with the popular Nest. The Ecobee is especially well-suited to larger homes — although it works just fine in smaller areas as well — due to its ability to utilize a network of independent sensors for different areas. The thermostat can sync with up to 32 physical sensors, making it a great choice for covering even the largest living spaces. The Ecobee3 smart thermostat normally costs $249, but a 26 percent discount brings this smart thermostat down to $184. The standard package includes one room sensor, but if you need to add some more for a larger living area, you can purchase sensor two-packs for just $79 each. The Ecobee3 is compatible with Apple HomeKit, Amazon Alexa, Samsung SmartThings, and others, and you can control everything directly from your mobile device using the companion app.